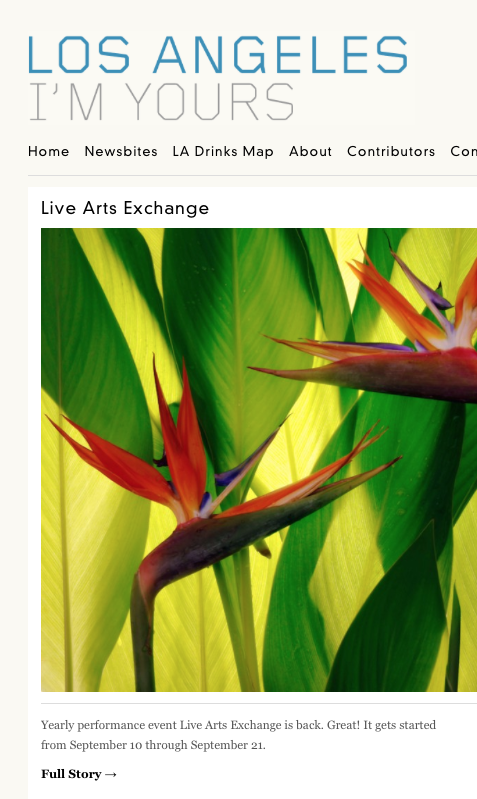 Live Arts Exchange (LAX) Festival, a performance series featuring local artists in contemporary theater, dance, music, and cross-genre performance. 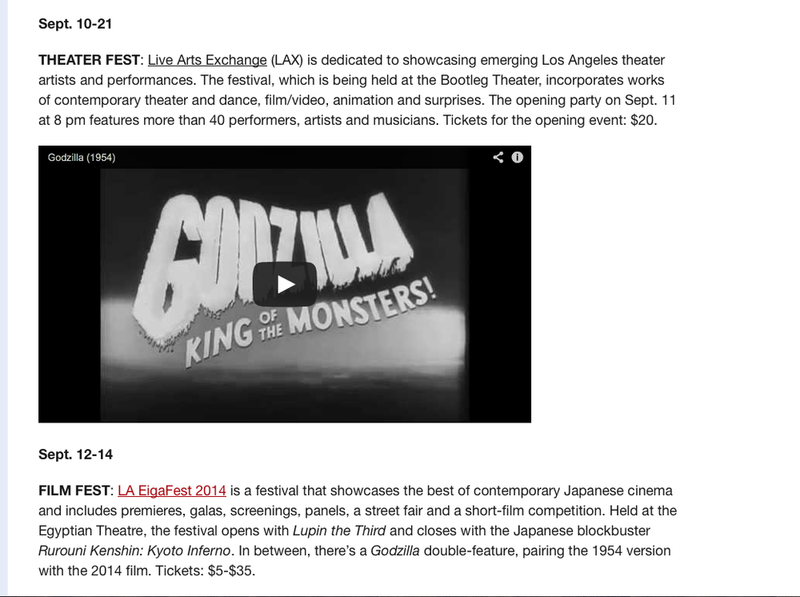 LAX promises to showcase some of the most innovative artists and independent companies in LA, create social events that encourage cross-genre hangout, and play an important role in the elevation of Los Angeles performance work within national and international networks. 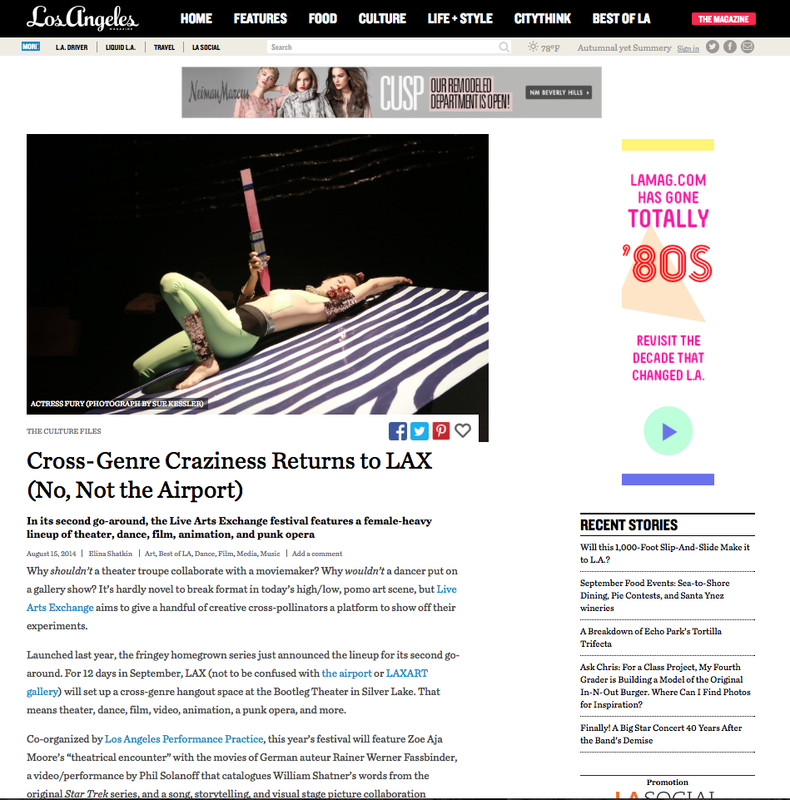 Los Angeles Performance Practice, LAX Festival Production Company, and Pazos Media had a clear objective: provide LAX with a global promotion. The results exceeded the expectations.